For too long gamers, streamers and online content creators have had to handle multiple software solutions for streaming, screen capturing and video editing. Not anymore! CyberLink Screen Recorder couples the easy-to-use editing features of PowerDirector - The No.1 Choice for Video Editors - with responsive, high-quality screen casting and capturing technology. It is the only all-in-one solution for recording or streaming gameplay, vlogging, or sharing screen content with an online audience. Powered by CyberLink's industry-leading video editing tools, Screen Recorder is more than just screen capturing software. Record & edit content to provide your audience with videos that are detailed, high-quality, and informative. Share more than just your gameplay. Share your gaming secrets, reactions and commentary with your viewers by integrating webcam & microphone audio and video on top of your in-game footage, even when you're streaming from a gaming console. We understand that CPU and GPU processing power is vital for smooth gameplay and streaming. While other screen capturing solutions consume far too much of the precious processing power that gamers require, we've taken every step possible to ensure Screen Recorder minimizes CPU & GPU load as much as possible for your gameplay. The results speak for themselves with comparative tests showing Screen Recorder performs more than two times better than the nearest popular option on the market. That's 2 times more processing power you can use! Whether you're a vlogger, gamer, or how-to expert, Screen Recorder will have you producing high-quality, detailed videos in next to no time. Record your whole screen, just a window, or lock to a specific app. For gamers, you can record gameplay from your PC even in exclusive mode, and also capture directly from your gaming console! Don't spend hours figuring out how to edit your footage. Screen Recorder comes with a remarkably simple editing interface that allows you to quickly import and trim your footage, add titles and transitions, and also add a special audio backing track. 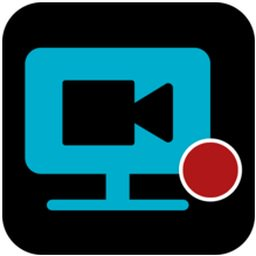 Expand your audience by streaming presentation with HD screen sharing and integrated webcam video to YouTube and Facebook. It's the easiest way to hold interactive presentations and connect with customers and staff. - Windows compatible sound card is required.